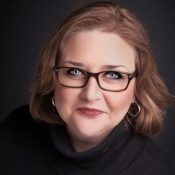 Allison Gingras is the founder of ReconciledToYou.com – where she shares the beauty of the Catholic Faith with honesty, laughter, and relatable examples from the everyday, ordinary life! 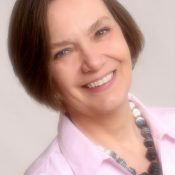 She has created the Stay Connected Journals for Catholic Women(Gracewatch.Media/Connected) which includes her first book, The Gift of Invitation: 7 Ways Jesus Invites Us into a Life of Grace. Allison hosts A Seeking Heart with Allison Gingras on BreadboxMedia.com Allison is a Social Media Consultant for Kennedy Brownrigg Group and Online Book Club Specialist with WINE: Women in the New Evangelization. 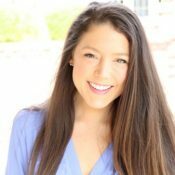 Alyssa Bormes is an educator, author, speaker, and retreat leader. 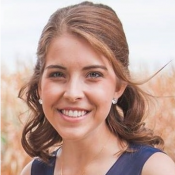 She currently teaches at the Chesterton Academy in Edina, Minnesota, writes for the Catholic Spirit, and the W.I.N.E blog, is the host of a weekly show,“Christian Witnesses in the Church,” on Radio Maria US, and is the author of The Catechism of Hockey. You can find her at alyssabormes.com. 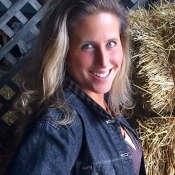 Angie Koenig is a passionate follower of Jesus working her way through life as a Millennial. She is the youngest of nine children and embraces her role as a daughter, sister, aunt and friend. 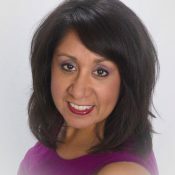 Angie blogs about her love story with Jesus at www.spirituallyspokenfor.com. Currently she resides in Eau Claire, WI where she enjoys anything that involves coffee. 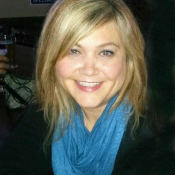 Caralyn – is the writer and speaker behind the blog, BeautyBeyondBones. She’s a twenty-something actress and writer in New York City. Having battled a severe case of anorexia and Ulcerative Colitis, she now uses her story of total restoration to positively impact others, and offer Christ’s hope and encouragement for those with eating disorders, and other forms of adversity. 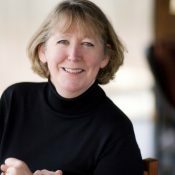 Dr. Carol Younger – A Senior Fellow for the St. Paul Center for Biblical Theology, Advisory Board Member for the Great Adventure Bible Studies, author of Listening and Study Guides for biblical and theological presentations through St. Joseph Communications, author of the Retreat Companion for 33 Days to Morning Glory through Marian Press. An accomplished leader in public and private education and a popular adjunct professor at an evangelical Christian university in Southern California. Active in many parish ministries, including RCIA and Catechetical training. 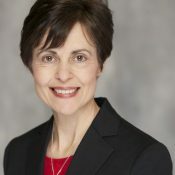 Debbie Keller is the current Archdiocesan Council of Catholic Women’s president of the St. Paul & Minneapolis Archdiocese. She and her husband John have three sons (one married), two daughters (one married) and a new baby granddaughter! For many years she was a stay-at-home Mom, though is puzzled by that title as she claims she didn’t stay home much, which probably explains her love of travel. In June, she was part of the Kitui Partnership Delegation through the Center for Mission of the St. Paul & Minneapolis Archdiocese. The ACCW, in solidarity with the Catholic Women’s Association (CWA) of the Kitui Diocese, is building a women’s dormitory near the University of Kenyatta. Once completed, she has hope to return, to exuberantly welcome the students who will be dwelling there! 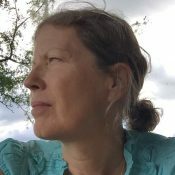 Dr. Deborah Savage is a member of the faculty at the St. Paul Seminary School of Divinity at the University of St. Thomas in St. Paul, Minnesota where she teaches philosophy and theology in the Pastoral Ministry Programs. She is co-founder of the Siena Symposium, an interdisciplinary think tank at UST, organized to respond to Pope John Paul II’s call for a new and explicitly Christian feminism. She is currently working on a book tentatively entitled Woman and Man. 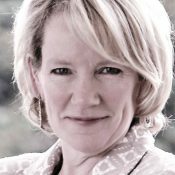 Elizabeth Tomlin, contributing writer to WINE, mother of three, and army wife, is General Counsel for the Archdiocese for the Military Services. She is a founding member of the Military Council of Catholic Women Worldwide Inc., the women’s ministry of the military Archdiocese. 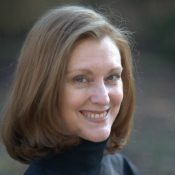 Elizabeth speaks broadly on Catholic topics, blogs at joyfulmomentum.org, and has a forthcoming book with the same title. Elizabeth Westhoff is known for her dedication to the faith along with her incredible humor and wit. As the Press Secretary to Raymond Leo Cardinal Burke and Director of Communications for the Shrine of Our Lady of Guadalupe in La Crosse, WI, Elizabeth’s role is constantly evolving, as she uses the tools of an ever-changing world to share the Gospel message of Jesus Christ. In her spare time, Elizabeth enjoys staying up to date on Catholic social teachings, news, and pop culture. 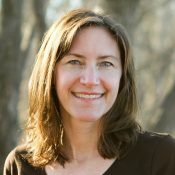 Heidi Hess Saxton a wife and adoptive mother, contributing writer to WINE, and author of Advent with Saint Teresa of Calcutta and the follow-up companion, Lent with Saint Teresa of Calcutta (Servant, released January 2017). 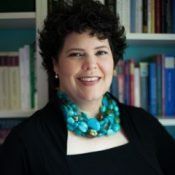 Heidi received a graduate degree in theology from Sacred Heart Major Seminary in Detroit in 2012, having converted to the Catholic faith in 1995 from the evangelical tradition. She met her husband, Craig, at the University of Michigan Ballroom Dance Club, and lives with her family (including two special-needs teenagers, a longsuffering Aussie shepherd and a snuggly Chiweenie) near South Bend, Indiana. 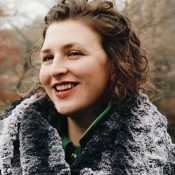 Hilary Scheppers is a religious poet and writer from Minnesota. She holds an MFA in Writing from Sarah Lawrence College and a B.A. in Humanities/Theology from Loyola Marymount University. Her poetry and nonfiction appear or are forthcoming in Parabola, Apofenie, Breadcrumbs, and elsewhere. Her favorite bird is either the mourning dove or the oropendola. 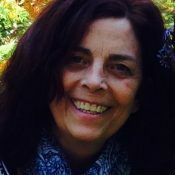 Jeannie Ewing is a Catholic spirituality writer who writes about the hidden value of suffering and even discovering joy in the midst of grief. Her books include Navigating Deep Waters, From Grief to Grace , A Sea Without A Shore , and Waiting with Purpose. She is a frequent guest on Catholic radio and contributes to several online and print Catholic periodicals. For more information, please visit her website jeannieewing.com. Jennifer Beutz lives out her vocation in marriage to her husband of 17 years. They have been blessed with three amazing children. 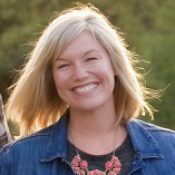 Jennifer works toward the mission of the New Evangelization as the small group coordinator at St. Hubert Catholic Community in Chanhassen, MN. She has been published in The Catholic Spirit and co-authored a weekly column in the Star Tribune with her mother, who is her writing mentor. Jill Mraz is a Catholic mother to one wonderful daughter. Residing in Minnesota they enjoy summer road trips to either coast, marveling at the stunning beauty of God’s natural world. Jill writes poems and essays which reflect upon motherhood and her beloved Catholic faith. She is a contributor for WINE: Women in the New Evangelization. 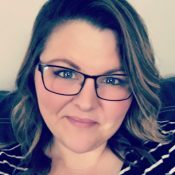 Julie Kenney is an elementary school principal by trade with 20 years experience under her belt as a reading teacher and administrator in rural, urban, and Catholic school settings. A cradle Catholic, she finds herself newly immersed in the rebirth of her own faith. Her hope is that through the power of the Holy Spirit, the sharing of her thoughts, struggles, and triumphs can be encouragement to others to seek Jesus in times of need. 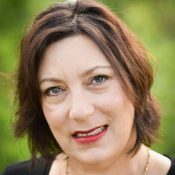 Karen Pavlicin-Fragnito is an award-winning writer known for her practicality, inspirational insight, and sense of humor. An accomplished business leader, hall of fame athlete, and singer-songwriter, she is a sought-after keynote speaker on a variety of topics. Kate Anderson is a young lady with an old soul. She spends her days communicating and marketing for a Catholic school. 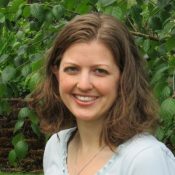 Kate enjoys conversing with kindred spirits over warm beverages, reading spiritual books, and returning to her rural roots. Kate is a WINE specialist lending her amazing talents to the Virtual Vineyard, particularly with the WINE Book Clubs. 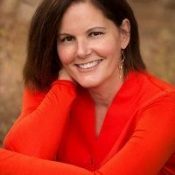 Katie Warner is a wife, mom, author and speaker who helps others become leaders at living more spiritual and meaningful lives, together with their families. 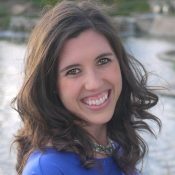 Katie is the author of Head & Heart and part-time Manager of Communication and Evangelization for Catholics Come Home. Her favorite ministry work is family life. Connect with Katie on Facebook, Twitter, and at CatholicKatie.com. 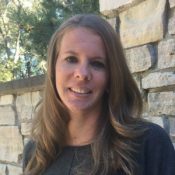 Katsey Long is a Licensed Clinical Social Worker in private practice in Jackson, WY, where she works with children, adults and families. Katsey did her undergraduate work at Louisiana State University in Baton Rouge, LA and her Master’s Degree work at the University of Denver. Since 1990 she has actively worked to integrate the theological and spiritual framework of her Catholic faith into her profession. 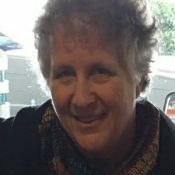 Her background includes teaching and working with families in the areas of inner healing, generational and family healing, across the United States and in Canada and in Rwanda working in the areas of trauma, forgiveness and healing wounded history with genocide survivors in that country. 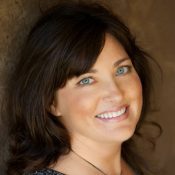 She is currently Executive Producer of a documentary film in Rwanda about the power of forgiveness (www.secretofpeace.com.) Katesy is a popular speaker at parish retreats and conferences around the US. 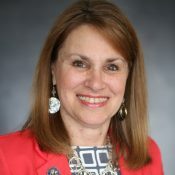 She is a member of the Association of Christian Therapists, Catholic Psychotherapy Association, and past President of the Jackson Council of Catholic Women. 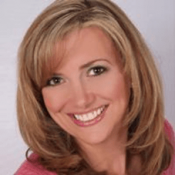 Kelly Wahlquist is a wife, mother of three, inspiring Catholic author and speaker residing in Minnesota. 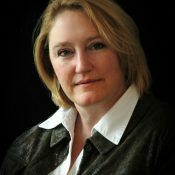 She is the founder of WINE: Women In the New Evangelization, Assistant Director for the Archbishop Harry J. Flynn Catechetical Institute, and contributing writer for Catholicmom.com. Her book Created to Relate: God’s Design for Peace & Joy encourages and inspires women to live fully their beautiful God-given gifts for building relationships. 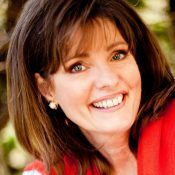 She is the creator and editor of Walk in Her Sandals: Experiencing Christ’s Passion through the Eyes of Women. 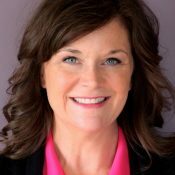 Kelly travels the country speaking to all on topics that inspire us to live the New Evangelization, but has a special love for speaking at Catholic women’s events. Kitty Cleveland – WINE Evangelist and Music Missionary. If I had to boil down the essence of what I feel called to do, it is to encourage people—whether through music, storytelling, or teaching from the great Catholic spiritual writers and my own life experience. Tears in the audience (and occasionally from me) are not uncommon, and I consider them sacred. My audiences and I also laugh a lot, which I consider to be a true gift of the Holy Spirit. These audiences have ranged from women’s prayer breakfasts to Legatus groups to large family conferences. 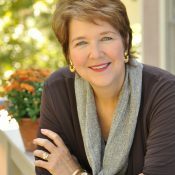 Lisa Hendey is the founder and editor of CatholicMom.com and the author of The Grace of Yes, the Chime Travelers series for children, and multiple other titles. 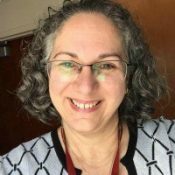 An Editor-at-Large for Ave Maria Press, Lisa speaks internationally on faith, family, the New Evangelization and technology and lives in Los Angeles, California. 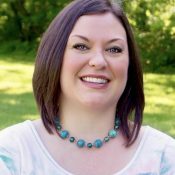 Lisa Mladinich is a Catholic wife and homeschooling mom, catechist, workshop leader, and the author of True Radiance: Finding Grace in the Second Half of Life (Servant Books). Her children’s prayer book, Heads Bowed: Prayers for Catholic School Days (Liguori Publications), is due out this summer. 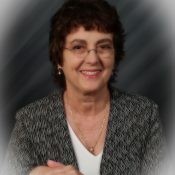 She writes for CATECHIST Magazine and can be reached through her website, AmazingCatechists.com. 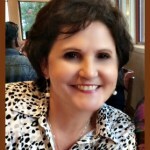 Marge Fenelon is a Catholic author, blogger, speaker, and journalist whose writing has appeared in dozens of media outlets including National Catholic Register, Our Sunday Visitor, and Catholic News Service/Faith Alive. She blogs regularly at National Catholic Register and is a columnist for the Milwaukee Catholic Herald. 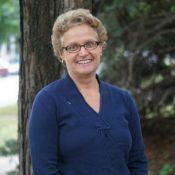 Marge is the author of several books on Marian devotion and Catholic family life, including her newest work Forgiving Mother: A Marian Novena of Healing and Peace (Servant Books, 2017). She is a regular contributor on national Catholic radio programs and has also appeared on Catholic television. 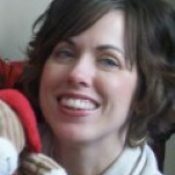 Maria Morera Johnson is a CatholicMom.com blogger and cohost of SPQN’s Catholic Weekend. 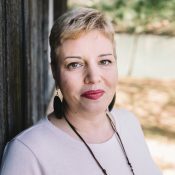 She is a composition and literature professor and director of English learning support at Georgia Piedmont Technical College, working with nontraditional students in innovative success initiatives. 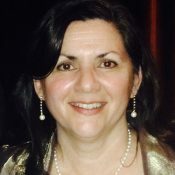 She has received a number of awards for teaching. Maria is a native of Cuba. Her book, My Badass Book of Saints: Courageous Women Who Showed Me How to Live, was published by Ave Maria Press. She and her, husband, John, have three grown children and live in Conyers, Georgia. 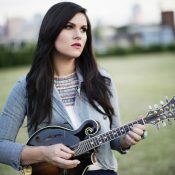 Marie Miller is a Curb records artist triple threat: singer, songwriter and instrumentalist. Growing up in the Shenandoah Valley area of Virginia, the third of ten children, Miller began singing at the age of seven. At twelve she joined her family band, playing festivals and churches, with her sister Justina. The bluegrass duo was billed as the Miller Sisters. Marie has opened for the Backstreet Boys, Sara Evans, MAGIC!, Andy Grammar, Colbie Caillat, Carbon Leaf, Five for Fighting, and the Plain White T’s. In September 2015 she performed for Pope Francis and 750,000 attendees in Philadelphia, PA. The performance was aired live on CNN and Fox News. 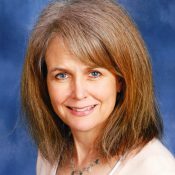 Melanie Rigney loves to share stories of how women saints can help us on our journeys today. She is the author of Blessed Are You: Finding Inspiration from Our Sisters in Faith and Sisterhood of Saints: Daily Guidance and Inspiration (both Franciscan Media). A South Dakota native, Melanie lives in Arlington, VA. Check her out at www.melanierigney.com. 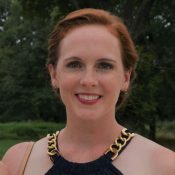 Michelle Jones Schroeder is a cradle Catholic raised in New Orleans and residing in Baton Rouge, Louisiana. She and her husband of twenty-one years have two hilarious children who keep them entertained and exhausted. 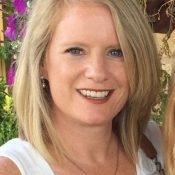 Following twelve years of Catholic school and graduation from LSU, Michelle spent the first part of her professional life in Marketing and Management. After staying home for a few years with her young kids, her poor culinary skills led her to invent a kitchen product and start a small business. She is slightly obsessed with St. Pio of Pietrelcina and 80s music. Michelle enjoys being involved with a vibrant Catholic community at Our Lady of Mercy Parish in Baton Rouge. Her fantastic family and fabulous friends are the world to her. She doesn’t have free time but if she did, she’d enjoy a nap. Nancy Jo Sullivan is an inspirational author and speaker. 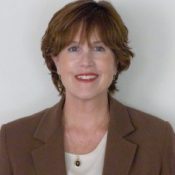 She has published with Random House, Guideposts, Readers Digest, and the Huffington Post. Her newest book, Small Mercies, was recently released by Loyola Press. In the book, she writes about God’s presence in motherhood, family, and love. 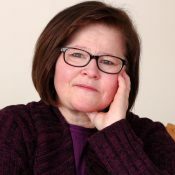 Through poignant reflections, she recalls how she found God even in her darkest moments, especially in the months that followed the death of her daughter with Down’s syndrome. She reminds the reader that God is present in “every mess, burden, and blessing.” The mother of two grown daughters, Nancy Jo resides in Saint Paul, Minnesota. She loves hanging out with her daughters, teaching writing classes to kids with special needs, jogging, making spinach smoothies, and of course, writing about her imperfect life. 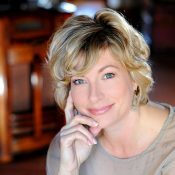 Rhonda Ortiz writes on topics of faith, culture, and family across the web. 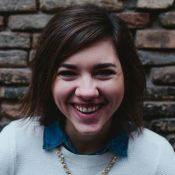 She also writes Scripture for the Scrupulous, a weekly newsletter providing guided meditations for battling scruples, perfectionism, and anxiety in the spiritual life. Follow her work at www.rhondaortiz.com. Rhonda Zweber and her husband of 23 years, have three beautiful daughters. 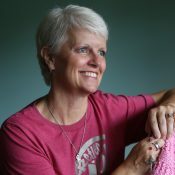 When she was diagnosed with breast cancer, Rhonda’s faith began to grow and she co-founded the Pink Prayer Warriors cancer ministry at her parish, St. Michael Catholic Church in Prior Lake, MN, to support and pray for others who are going through their cancer journey. Each time her cancer returned, Rhonda’s faith and trust in God’s plan grew stronger and that gave her motivation to share her journey with others. Rhonda recently launched her second book which documents her faith journey through cancer to encourage the readers to seek the love of Jesus along the way. Her first book, Mommy’s Hats, is her cancer story through the eyes of her youngest daughter. Rhonda has created her own blog: relaxinHislove.com. You can also find Rhonda at relaxinHislove@gmail.com. 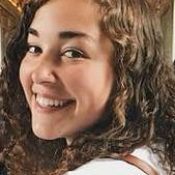 Sarah Christmyer is co-developer and founding editor of The Great Adventure Catholic Bible study program. 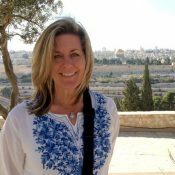 The author of numerous Bible studies and several guided journals for Bible reading, she speaks at conferences and retreats on topics related to Scripture and the Catholic faith. She teaches at St. Charles Borromeo Seminary, Philadelphia. Follow her blog at www.ComeIntotheWord.com. Sarah Damm is a Catholic wife and mother of six children, living in Minnesota. She spends her days running errands, helping with homework, and keeping up with laundry and the family schedule. Sarah loves her faith, coffee, and good books. You can find out more about her and her writing at sarahdamm.com. Sara Kohl is a Senior in college from Minnesota where she finds peace and joy in the mundane, such as morning runs, Monday night football, and using all the groceries in the refrigerator. A lover of photography and letter writing, Sara strives to live fully through imitating the virtues of the Blessed Mother in each relationship and in every task; like we said, she’s striving! 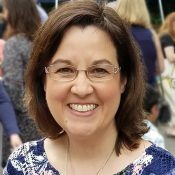 Sharon K. Perkins, wife to Mike and mother of three adult children, is a 30-year veteran of Catholic parish and diocesan catechesis, a columnist on spirituality and real life, and co-author of “Word to Life,” an award-winning weekly Scripture commentary for Catholic News Service. She’s also the newly-appointed Director of Evangelization and Catechesis for the Catholic Diocese of Austin, Texas and a doctoral candidate in theology, currently writing her dissertation on Marian devotional practice among Czech immigrants. Sharon is proud to be a farm girl and a native of the Lone Star State. 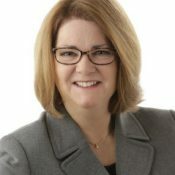 Sherry is the founder and president of the Kennedy Brownrigg Group, a PR and marketing firm working in the Catholic marketplace. She lives in Omaha with her husband Steve and 14-yr old chocolate lab Cookie, hopes to be a saint someday and her worst fear is not being of use in God’s kingdom. You can reach her at sherry@kennedybrownrigg.com. Sonja Corbitt is the Bible Study Evangelista. Her Scripture study resources are created with you in mind—bites of spinach that taste like cake—to help you create a space in your busy heart and schedule for God to love and lift you all the way up into His great lap. What’s an evangelista? Find out here. 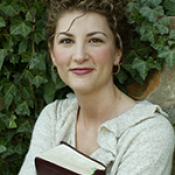 Stephanie Landsem is a wife, mother, lifelong Catholic, and author of authentic biblical fiction. The Living Water series (The Well, The Thief, and The Tomb, A Novel of Martha) published by Simon & Schuster, is based on encounters with Jesus in the Gospel of John. 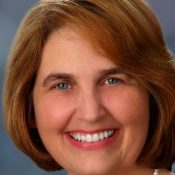 Susanna Parent serves as Evangelization Manager for the Archdiocese of Saint Paul and Minneapolis in the Office of Evangelization. She is a graduate of the Master of Arts in Pastoral Ministry program with the School of Divinity at the University of St. Thomas. When she’s not reading and writing you can find her enjoying life with her new husband, brewing French press coffee in her kitchen, reading wine labels with friends in an effort to discover the perfect Pinot Noir and blogging about her travel adventures.